Westwood Security Shutters Ltd have just installed a new electric roller shutter at Bentley Motors. We are very proud to work at such a marvelous company. 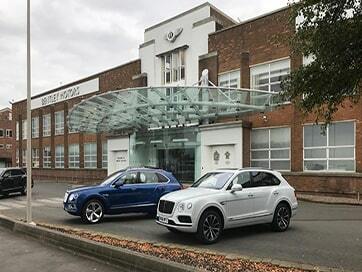 Westwood have done a number of jobs for Bentley over the years and it is always a very interesting place to work. Unfortunately, due to security we cannot take any pictures internally of the factory. If you would like to know more about factory roller shutters, industrial doors, standard roller shutters or any of our other products, please don't hesitate to contact our friendly team here or call 0161 272 9333.